Land formations which suggest a connection to architecture have always drawn my attention, in particular the abrupt convergence of edge and space. Some of my current sculptures, composed of two or more elements, allow various juxtapositions that suggest shifts of perception and relationship, depending on the arrangement. Allusion to man-made formations (i.e. barriers andWalls) can be found in this series. In 2010, I presented work addressing the issue of boundaries, encompassing Border walls, obstructions and impositions. Years later, this theme prevails. 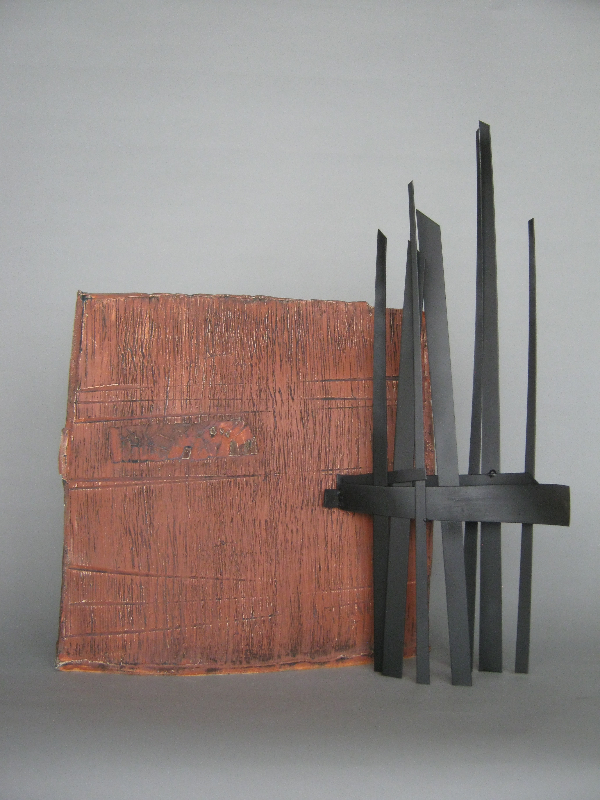 Currently my work combines clay and steel, expanding on these concerns. Clay, when fired, is impermeable to time and the elements. Steel, by its nature, gradually disintegrates, leaving only a trace. Paradoxically, we create both a temporary and lasting record on the landscape and in our collective memory. Penny Truitt's work has been exhibited by River Gallery Since 1994.